This weekend the Merchant hotel, Belfast, will come alive with a host of fabulous “Fashion Tea’s”. Some of Northern Irelands top designers will be unveiling their Autumn/Winter collections to the world whilst guest sit back and enjoy a glass of champagne and a spot of evening delights. 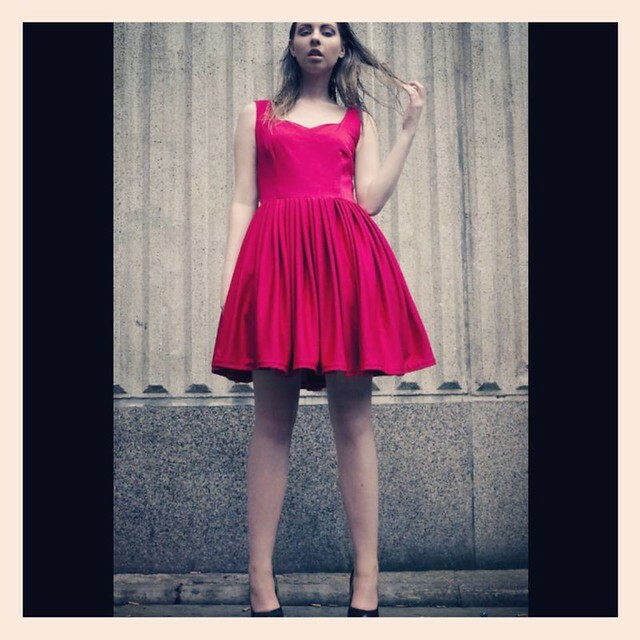 One such designer is Lisa McCabe from the fabulous “Nor-Lisa Fashion”. Her collection will be conquering the catwalk tomorrow afternoon (Sunday 29th) and you would be a fool to miss it! I caught up with Lisa herself this week to tell us a little more about what we can expect. Q. Tell us a little about the show and what we can expect? A. The show will be very high fashion and very elegant. The models are all from Style Academy so they are all extremely beautiful. The amazing Andrew Mulvenna and his team will be styling the hair and Lancome will be providing the makeup looks. All of my guests will get an evening supper and desserts including Moet champagne which adds a little more elegance to the event. After the show you will be able to view the garments up close and personal in my pop-up shop. Q. What can we expect from your new collection? A. For Nor-Lisa Fashion, this season embraces the “moody blooms” trend, which consists of lush colours in over-ripe hues, scattered across darker tones with elegant womanly charms. The glamorous collection embraces a dark winter romance, using high end luxurious fabrics including silks, silk chiffon, soft cotton and stiff linen. With this season comes the return of Nor-Lisa Fashion’s custom designed in-house prints, which gives the new collection a completely unique look that won’t be found anywhere else. Q. Has your style developed since you first hit the fashion scene? A. I wouldn’t necessary say that my style has developed but I would definitely say that this collection is more wearable along with some show-stopping pieces also. Q. Who are you collaborating with on the day of the show? A. On the day my team will include Krystal Love by Kerry who will be covering killer heels in sparkly, girly diamonds and beads to add extra glamour. Aura jewellery by Joanna who has custom made and designed some stunning pieces of jewellery, my favourite is a chain mail necklace with colour fading detailing. Finally, Marie Claire Millinery is tieing the whole thing together with her very elegant and glamorous head-pieces. All of the pieces have been designed just for this collection and have never been seen before. Q. Tell us about the pop-up boutiques? A. I have been designing my pop up boutique since I found out I was doing the tea’s. I am most excited about it as it gives the clients a chance to see my looks up close and personal. My pop-up boutique will be pretty and elegant. I’ve decided to go for all white and silver with texture as to not distract from all of the prints on the garments. On the night I will be letting people order custom garments as well as purchasing the ready to wear items. All clients can use cash or card to pay. Q. Why do you feel a bespoke outfit from you is special? A. If you love prints like me, then you won’t be disappointed as my prints are very rare and unique. My fabrics are only the best quality and I spend months sourcing it. All of my garments are limited edition and I only make 5 or less of each item which means they are extremely exclusive. To me, my garments are like pieces of art. 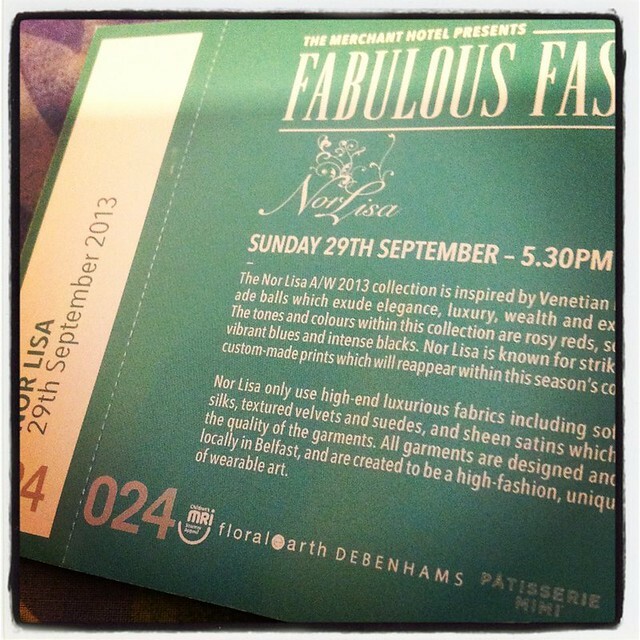 Tickets are £35 and well worth splashing out on for a fabulous evening of even more fabulous fashion! Good post. I like it. Nice idea to follow each others! So follow me first and I will follow you right back! Just let me know!